I tried out transferring forms using wifi. 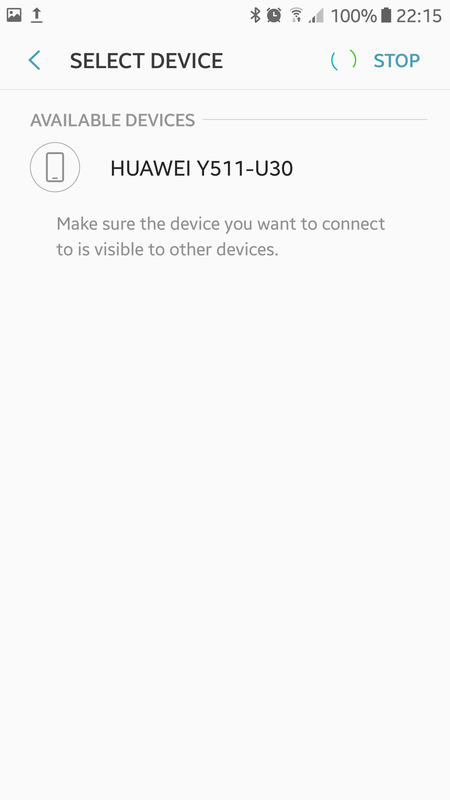 I have used QRCode as a method to share connection information to connect the two devices. One of the devices acts a Client and other as a Server. Server creates a hotspot and accepts Socket connection. The other device(Client) scans the QR Code. Establishes a socket connection with other devices. Connection establishment becomes very easy from the user point of view. The user need not be aware of technical details. This will be a very big advantage. I shall share usefulness of QRCode in another post. The app uses Content Provider to access form instances. All the received forms are stored in /odk/instances/ folder. Other than QRCode, I had used Network Service Discovery as a method for devices to discover each other. But, for NSD to work, it requires two devices running the same app instance on the same Local network. NSD is useless if two devices aren't connected to same Acess point. That means NSD will be helpful only to establish Socket connection and not Wifi connection. So, I think NSD is of little use here. Just to keep everything in one place and accessible to everyone, here is the link to the app that uses Bluetooth for transferring forms using Content Provider. It uses BluetoothSocket to transfer data using InputSteam and OutputStream. All the logic for transfer remains the same irrespective of the use of Bluetooth/ wifi direct/ wifi. Hello I am a student from China, I viewed all the discussions here, as for a Divice-to-Divice Transfer under a no-WiFi circumstance, why not use SMS to sent forms to another device? SMS is inconvenient to transfer mass data like a bundle include: image , text , even some kind of media data. Despite these disadvantages,SMS can work normally without WiFi network with a long distance. btw, I think SMS can also be a new feature that people can upload data to our server without a connection to internet. 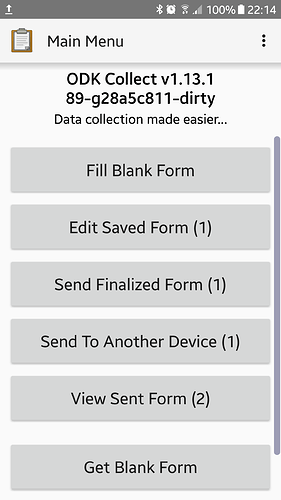 Just made a simple UI (using Android native bluetooth share) for sending finalized forms via bluetooth. What do you think about it? I would like to share my GSoC proposal draft. So many great ideas coming from everyone! It has been really cool to see the collaborative spirit here, in #internships and on the Collect repository. Absolutely. I know @dexter21 has also been exploring along those lines. I believe it should also be possible to initiate wifi direct pairing with a QR code if that provides benefits. 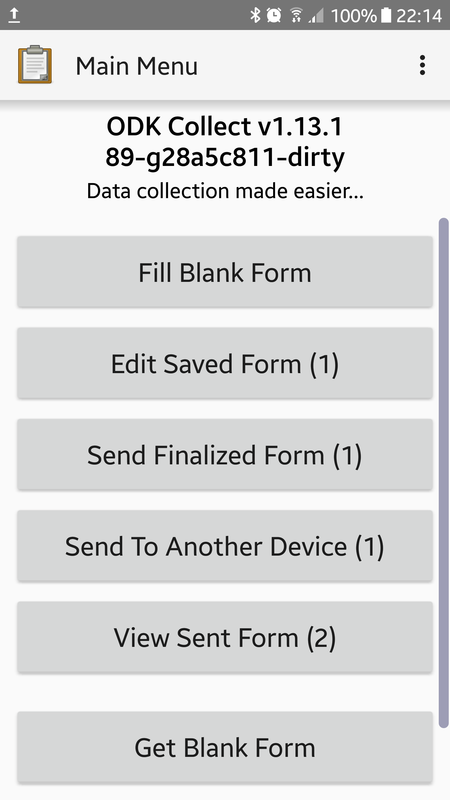 why not use SMS to sent forms to another device? There is some interest in adding support for SMS submissions which you can read about at Send submissions via SMS. For this particular project, the goal is to use a free transport layer that works well in close proximity. SMS can be very expensive in some locales and it can be unreliable. The UI looks really nice! For the summer project the recommendation is to enable the functionality in a companion app to reduce needed changes to Collect and so that users who don't need the functionality won't be overwhelmed with a new feature. But this shows a nice path to integrating it. @LN @Shobhit_Agarwal I've completed the first version of my Draft Proposal. I have read this before I wrote my views here ,and some of my ideas also comes from that post. I know here comes some issues related to the cost of transmission using SMS, but we still need that function when we are in a remote area without WiFi signal but have a strong need to sent some essential data to servers. In short, we can design a logic and build a algorithm help to improve the efficiency of data transmission, and make sure the data will be delivered into other devices nearby or remote successfully under every circumstance. And I'm trying to submit more code and address issues with this amazing APP whether I have a chance to work with you guys in GSoC 2018 or not.I'm really enjoy it! @LN @Shobhit_Agarwal I have completed my proposal draft, and open to your guys' suggestions ! I have finished my draft proposal. Would you take a look and give me any suggestions please? I have built two demos using WiFi to transfer data. And wrote a brief introduction (README) about implements in WiFi Direct and WiFi Hotspot. You can visit my Github for more details. Hi I'm a undergraduate from China and I really want to work with you guys during the GSoC 2018 ! I have addressed an issue the second day PR#2026 (need testing/reviewed) when I became a collaborator and I'm trying to get familiar with this project and do more contributions as fast as I can.I think it's easy for you to find out how enthusiastic I am toward this project. If you want to know more about me : Introduce yourself here! A supervisor app which can screen the forms submitted by users. Material UI improvement : some logical design may confuse users and the UI/UX design still need a lot of work to do, we should start these work as soon as possible. 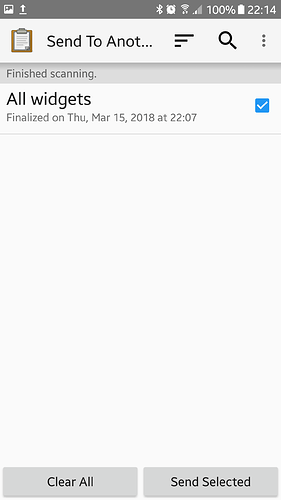 From my perspective, some extra features can be done with supervisor app project such as the remote transfer using WiFi Direct or SMS ,etc.I think I'm good at UI/UX design and building material-design ui in Android, if any mentor is good at this,I can follow you and open to your suggestions and guidance. I would be very appreciated if you chose me and contact with me, and I think we can talk about some interesting things about Chinese culture after the work, anyway it's glad to meet you guys and wish you have a good time. Will this project be a part of GSoC 2019? Hi, this is the project in 2018, new projects will be published under this topic when mentors have new ideas.